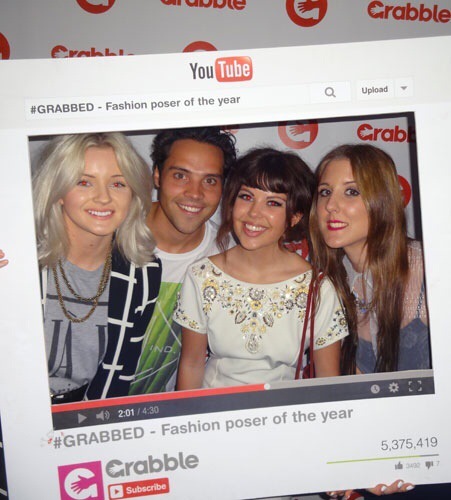 I attended the Grabble launch party last week in London which was held in the trendy Hoxton Hotel in Shoreditch. Grabble is a new fashion app that is described as ASOS meets Pinterest. 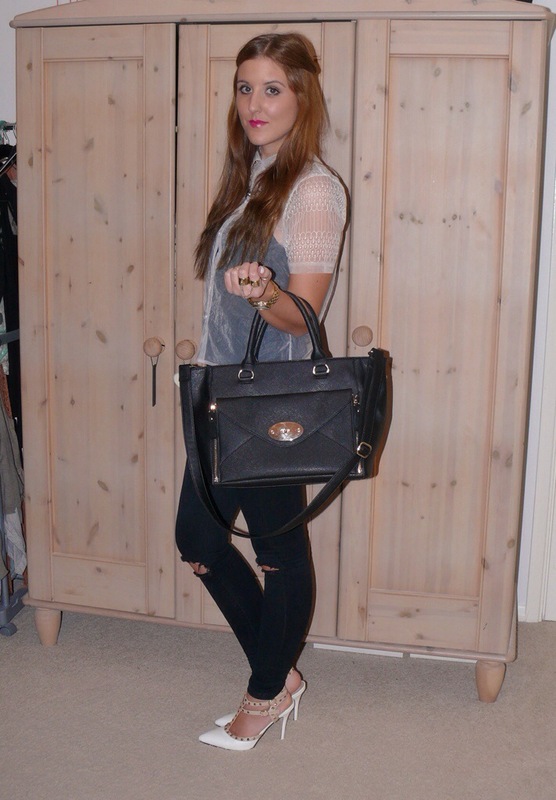 I went for a more casual feel and just dressed it up with heels, accessories and lippy. I got this beautiful embroidered organza shirt in the ASOS sale a while back but I haven’t worn it until now. It is such a lovely piece and so easy to wear. You can stick a cami, bracket or crop top underneath and you’re good to go. 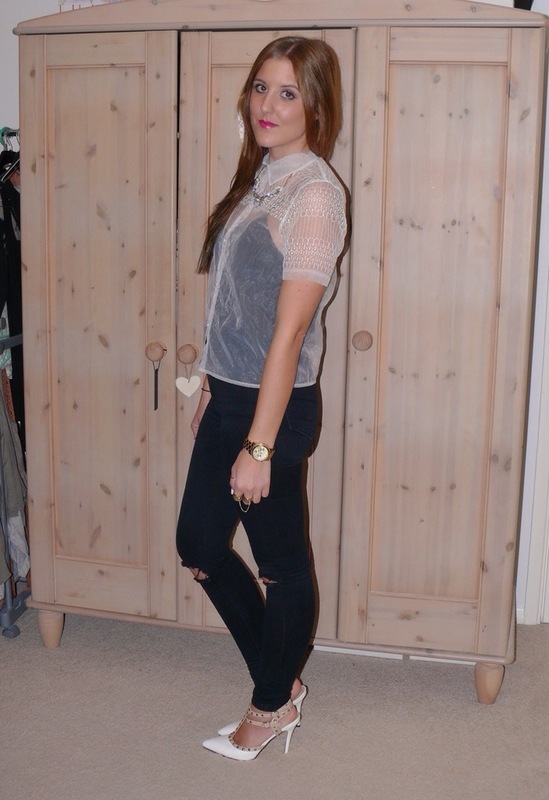 The jeans are my much loved ripped knee skinnies, again from ASOS. 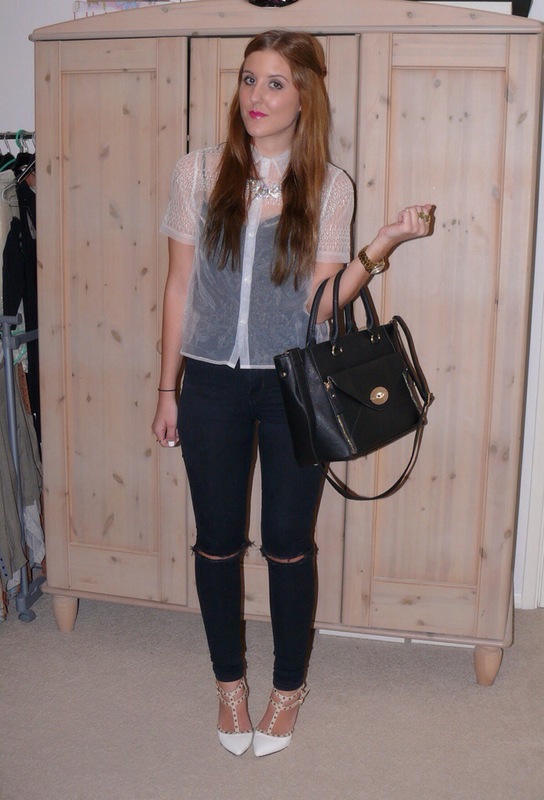 I just went with a black strappy Topshop cami underneath to keep with the monochrome look. My heels are ones I was kindly sent by tReds and if you follow my blog you will know they pretty much haven’t left my feet since I got them. I absolutely love how they transform an outfit and just how nice they look with basically any outfit combination, an absolute winner. I added a River Island pastel necklace to accent the collar and stacked up a few gold rings on various fingers. I grabbed my willow style tote bag as you always need a bigger bag when attending events because you just have so much stuff that you need to have on you (iPhone portable charger, flats, camera plus all the other bag essentials like make up, mirror, gum, purse etc), the joys of being a blogger. My lipstick was one of the latest Revlon matte lip crayons (220 ‘showy flamboyante’) I went over it in lip balm to give it a slight shine rather than keep it matte for a change.